The symbols on New Zealand and Australia represent the places where Eve lived – three years in Australia and eight and a half in New Zealand. 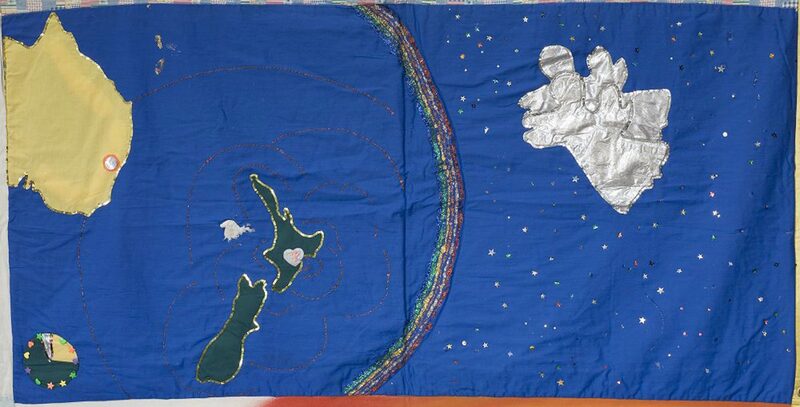 The ripples going out from New Zealand represent Eve’s message about HIV and AIDS going out to the rest of the world. The large Angels represent the unseen Heavenly Realm watching on.